As technology has moved from analog to digital to HD and now to 4K, video producers have been left to sort out the tangle of file structures, compression codecs, and metadata-storage mechanisms for themselves. For decades now, the media and entertainment industry has had to contend with a seemingly endless variety of formats. As technology has moved from analog to digital to HD and now to 4K, video producers have been left to sort out the tangle of file structures, compression codecs, and metadata-storage mechanisms for themselves. It’s not surprising that many of them are overwhelmed by the myriad formats and the need to convey from one form to another. Case in point: my organization, HEC-TV. HEC-TV is a nonprofit education, arts, and cultural corporation based in St. Louis with more than 50 Emmy Awards to its credit. We are St. Louis’ leading producer of education and arts television programming. My team is responsible for all content from creation through directly – and a lot of it! It’s a small company, with a staff of five and freelancers doing all the work. We need tools that will help us get the job done efficiently, reliably, and affordably. With the amount and variety of content we produce, and the fact that we rely on freelancers who use a mix of cameras, we know all too well the problems wrought by the evolution of formats. One of the tools we have relied on heavily for the past several years is Imagine Products ProxyMill, a format-agnostic transcoding application that detects file types, extracts the needed information and decodes and plays content. Before ProxyMill, I had been doing everything by hand in Final Cut. Because ProxyMill can automatically read and transcode just about any file type, burn in the timecode, and drop it into a folder, it really minimized my workload. What would previously have taken me two days in Final Cut took two hours with ProxyMill. But with the advent of even newer cameras and codecs, Imagine Products decided it was time to give ProxyMill an overhaul. Dan Montgomery and his team at Imagine Products kept all the best of ProxyMill and built it into a new framework called PrimeTranscoder, which I’ve been beta-testing for about six months now. PrimeTranscoder is much faster – sometimes by as much as 50 percent – than Adobe Media Encoder, another tool I’ve used. PrimeTranscoder is far more accurate as well. A key factor for me is being able to trust the software to pull timecode correctly – something that had become a problem before PrimeTranscoder came along. I had found enough errors that I became wary of using the software and had to go back to doing it by hand. In my tests with PrimeTranscoder, I’ve seen few errors, which gives me faith that I’ll be able to rely on it day in and day out. When you shoot up to a terabyte of footage per week like we do, all that extra speed and accuracy really add up. 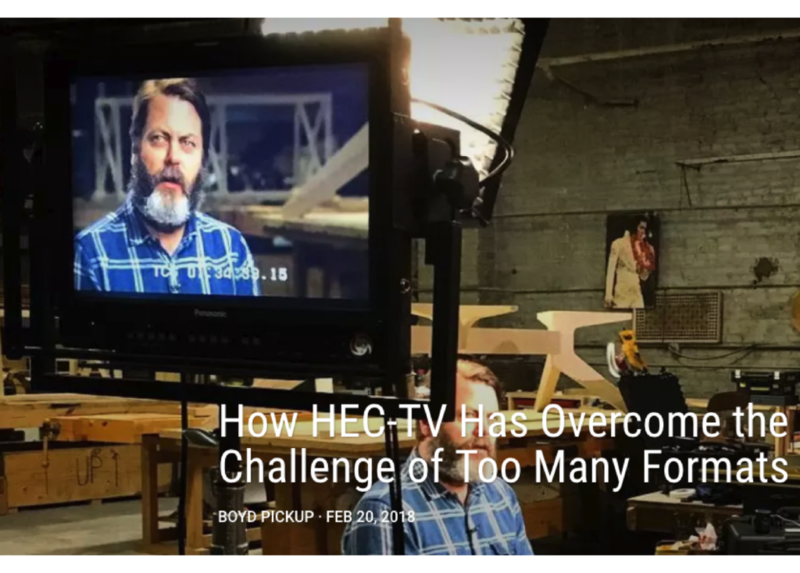 Formats will continue to evolve with the industry, and so will HEC-TV. 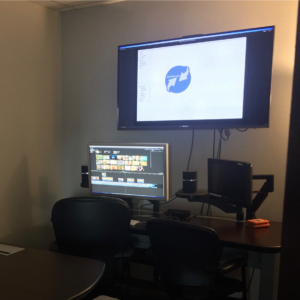 I know we can always count on Imagine Products for apps that help us operate efficiently – so we can keep creating award-winning programming.